Me'Lea Connelly, 36, is vision and strategy lead and director of development for Village Financial Cooperative. The black-led credit union is expected to open in north Minneapolis this year. While she grew up California, Connelly identifies as a "proud Minneapolitan, first and foremost" and has deep family ties to the state. Her ancestors migrated from Kentucky following emancipation and were among the first black families to settle in Minnesota. 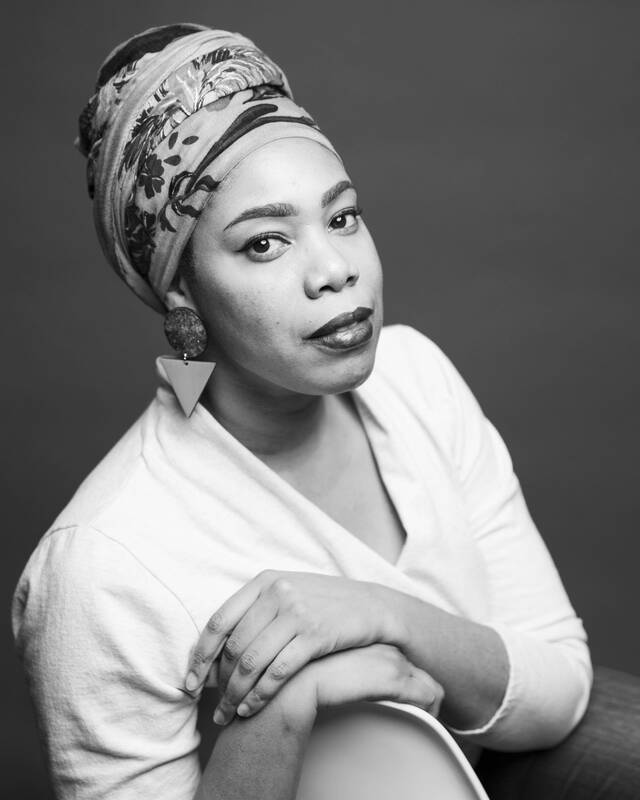 "And so knowing that my history is so much more rooted here and that my family was a part of building the economic foundation for black folks until now gives me a huge amount of pride and really motivates the work that I do today," Connelly said. 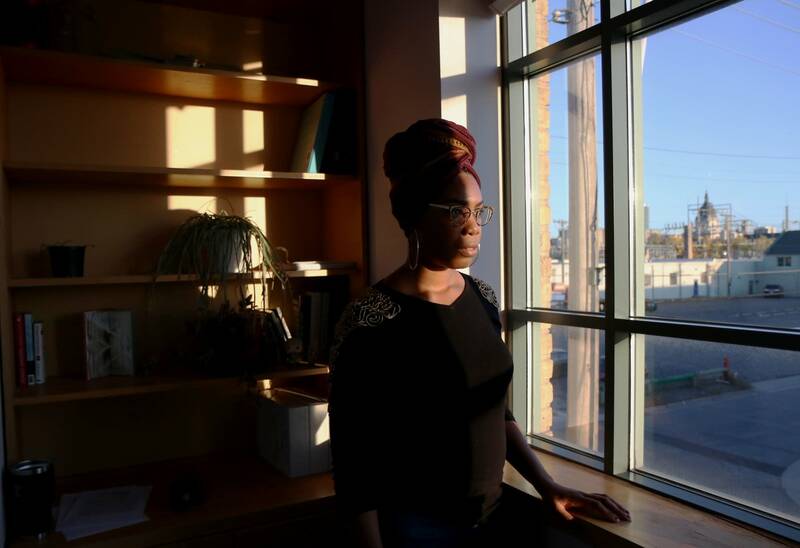 In the context of Black History Month, what does it mean to be a black Minnesotan? On the heels of the first black president and [in the time of] one of the most controversial presidents in office, to live in a state that's known to be a beautiful place to live and to raise children and to be the worst place in the country for black people to live and to find prosperity, it's an interesting intersection. There is also a huge amount of pride coming from a legacy of pioneers and black folks that found what they believed was their opportunity to realize the American dream in this place, to have an opportunity to build economic power, and a firm foundation for their family. I think there is a strong legacy here, especially rooted in the Rondo community. There's a huge amount of pride to know that even in the face of the victories and challenges the black community has faced across the country that we live in a place where black folks continue to work together to solve problems that affect, not just our community, but all marginalized communities. It's a complicated feeling but at the end of it I would rather be nowhere else. What figures have shaped you into the person you are today? My father was a software engineer, one of the only black men in the Bay area at that time in the early 80s. My dad, being a part of the disruption of what the internet did to the world and building the foundational infrastructure for that, really reflected a lot of other pioneers and black community, like those who started Credjafawn cooperative community [in the Rondo community]. [They were] a group of black people who came together to build credit unions and build cooperative grocery stores and to build all of this infrastructure to support our community and to create sustainability over the long run. What's your vision for the future of black people in Minnesota? My vision is that we can create a model that a lot of other black communities across the country that are facing really dire socio-economic inequities in their cities and looking for solutions and addressing that in ways that allow them to lead and allow them to have agency. That's really what we're building with Village Financial Cooperative: economic agency for black community where we are putting black folks in decision-making positions when it comes to their financial institution and developing products and services that not only are equitable but help people to get ahead. It's really realizing an economic renaissance in the black community, and not just in a way that's a flash in the pan or in a way that's an anomaly. But in a way that can build a model that can be replicated so that other folks can look at the blueprints of that infrastructure and replicate it all across the country and hopefully even across our shores. That vision is really big but I think it's what keeps us anchored in what we do every day.